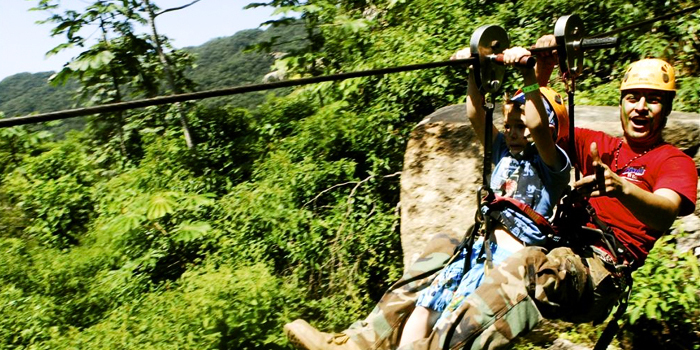 Glide through the forests of the Sierra Madre foot-hills on a pulse-pounding zip-line tour. 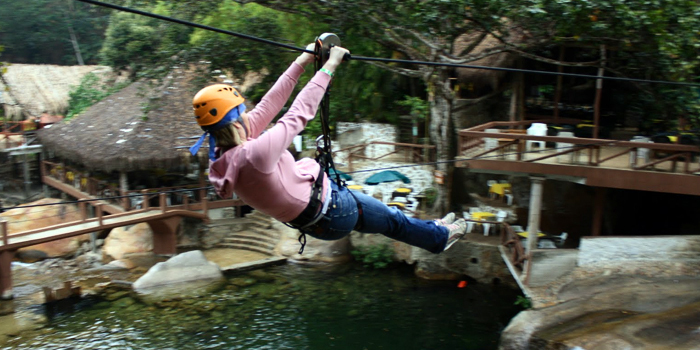 Both outdoors enthusiasts and thrill-seekers will enjoy this electrifying canopy adventure. You can whiz through the same verdant outdoor setting where movie megastar, Arnold Schwarzenegger, battled an alien in the smash hit film, Predator. Filmed in the late eighties, this sci-fi thriller also starred Carl Weathers and another famous political figure and professional wrestler, Jesse, the Body, Ventura. As you zoom on a high tension steel wire at more than 30 miles per hour, you may experience the feeling that you are actually performing a stunt in a big budget action movie. As you fly high above the forest floor, you will view the truly amazingly beautiful scenery in the lush Puerto Vallarta region, including unusual flora and fauna, including gorgeous orchids, blooming creepers, prismatic song-birds, and crawling iguanas. The stunning natural splendor alone is worth booking this adventure. You should bring along the whole family on this eco-tour. The kids will be intrigued by an interactive excursion into the wilds near Puerto Vallarta. 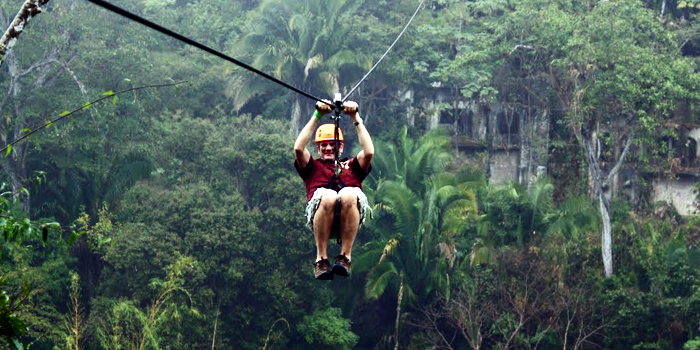 The zip-line route winds through the treetops above the unspoiled Mismaloya River as it rolls from the Sierras. You can glide above secluded waterfalls that cascade into serene pools. 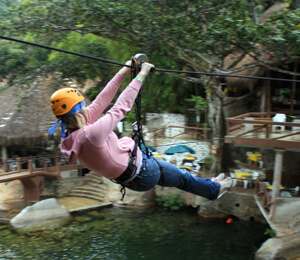 Our professional guides are expertly trained to safely operate of our zip-line excursions. All of our gear is meticulously scrutinized to make sure all participants enjoy a safe adventure. Our English-fluent personnel are extremely knowledgeable about the native plant and animal life; they are happy to share their knowledge about the biodiversity in this region. Adults will really enjoy witnessing the manufacturing process of tequila as well as raicilla, a traditionally home-made local liquor. Adult tour participants will enjoy sampling an array of tequila.